Liver cancer isn't one of the more treatable cancers. That could be changing, though. Scientists have discovered that the common anti-inflammatory drug - Celebrex (celecoxib) - makes liver cancer cells commit suicide. This is just the latest finding showing that Celebrex may be useful in treating a number of different cancers. Celebrex is a nonsteroidal anti-inflammatory drug, or NSAID. It's also a Cox-2 inhibitor, meaning it helps control inflammation by blocking an enzyme known as cyclooxygenase-2. As an anti-inflammatory, Celebrex is currently prescribed to treat various types of arthritis and acute pain. A new study shows that when Celebrex is used with two common chemotherapy drugs, the combination becomes a powerful liver cancer killing machine. The joined forces are more effective than either of the drugs on their own. “Each chemotherapy drug alone will reduce the growth of cancer cells, but when each single drug is combined with Celebrex, a greater growth suppression effect was observed,” said Jiayuh Lin, senior author of the study and an associate professor of pediatrics at Ohio State University. In liver cancer, Celebrex works on a gene called STAT3 that's found inside liver cancer cells. When STAT3 is doing its dirty work, it helps the cancer cells stay alive by resisting the effects of the chemotherapy drugs. But when Celebrex is added to the mix, STAT3 can no longer protect the cancer cells. Study author, Chenglong Li, an assistant professor of medicinal chemistry and pharmacognosy at Ohio State, explains that the Celebrex sticks to and deactivates the STAT3. When this happens, Li says, cellular survival pathways are blocked, causing the cancer cell to chop itself up and die. Over the years, scientists have found a close relationship between cancer and inflammation. This study uncovered the role of a particular protein involved with inflammation. That protein, called interleukin-6, or IL-6, is a cytokine - a chemical messenger that causes inflammation. High blood levels of IL-6 are seen in hepatocellular carcinoma, the most common type of liver cancer. Lin and colleagues discovered that IL-6 starts a chemical reaction in STAT3 that has a cascading effect and turns on other known genes that resist chemotherapy. The scientists treated five different types of liver cancer cells with two different doses of celecoxib. The higher dose blocked the STAT3 altogether. Celebrex in combination with both drugs decreased the number of liver cancer cells by anywhere from approximately 50 to more than 90 percent! Results varied according to dosage strength. Of particular interest was the finding that the combination of celecoxib and sorafenib significantly limited the formation of cancer cell colonies, a key element of tumor growth and survival after the drug treatment. 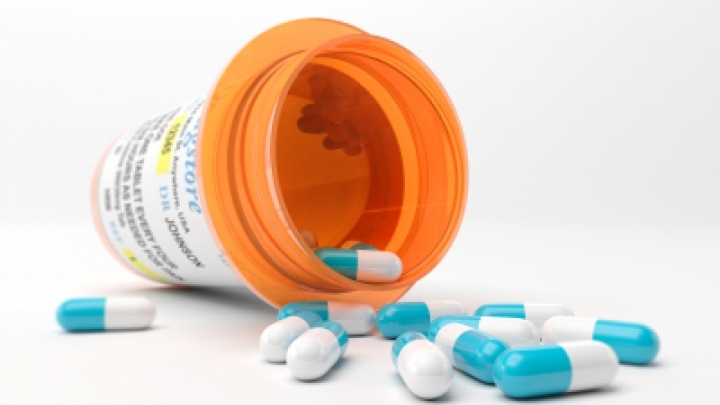 In a recent study, Celebrex was also shown to interfere with breast cancer tumor growth. So it may become another helpful additional treatment for people with breast cancer. “This is exciting because it means that a medication already used to treat other diseases may be efficient in the adjuvant treatment of breast cancer as well,” said lead researcher Juergen Veeck, from Maastricht University Medical Centre in The Netherlands. The study shows that targeting the COX-2 enzyme leads to changes in how the cancer cells grow. Researchers said that even short-term treatment with Celebrex helped to program cell death, a process known as apoptosis. Another recent study showed that Celebrex led to a 62 percent reduction in non-melanoma skin cancers, which includes basal cell carcinomas and squamous cell carcinomas. “For individuals who are at very high risk of skin cancer, this may be a method to reduce the number of new tumors they develop, despite the drug’s known side effects,” said Alice Pentland, M.D., study author and chair of the Department of Dermatology at the University of Rochester Medical Center. The Ohio State team, Lin and Li, were key authors of a paper suggesting that Celebrex may be effective as a treatment for the most common soft tissue cancer in children and adolescents. "While Celebrex has been and continues to be studied in the treatment of various cancers, Celebrex is not approved for the treatment of any type of cancer. Pfizer recognizes the importance of continuing such investigational research and believes it may help to advance disease treatments and improve the lives of patients. Celebrex continues to be studied by Pfizer and independent research organizations for additional uses, including in oncology."